November 2nd is National Deviled Egg Day. And Deviled Eggs happen to be a game day fav. Did you know there’s more than one way to make delicious deviled eggs? Wow your game day crew with some of these tasty recipes. 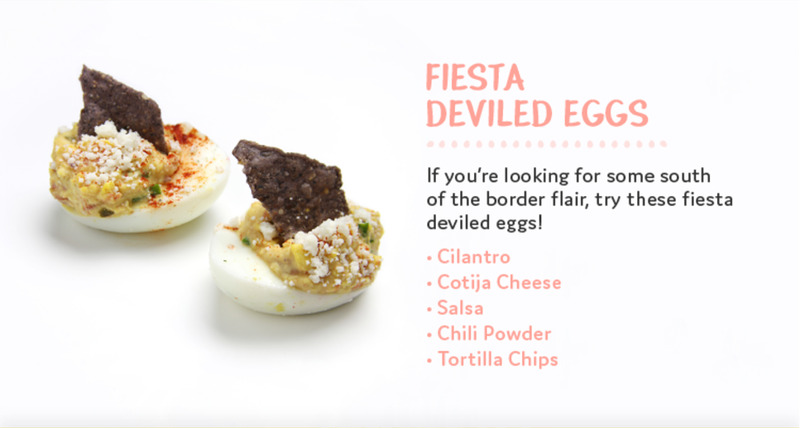 Let’s be honest….deviled eggs are deeeeee-licious. We love them and they’re a hit at just about everyday game day gathering we’ve ever been to or hosted. How do you make them? Actually, it’s quite simple. *Replace the mayonnaise with Greek Yogurt for a healthier snack! For more fun recipe ideas, visit our friends at Personal Creations Blog, who helped contribute to this post! Looking for an egg-cooking hack?